What is it really like to swim in the dead sea? | Am I Nearly There Yet? There’s a lot of myths surrounding the Dead Sea in Israel. The actual fact is that its waters are so salty that they react very differently than anywhere else. 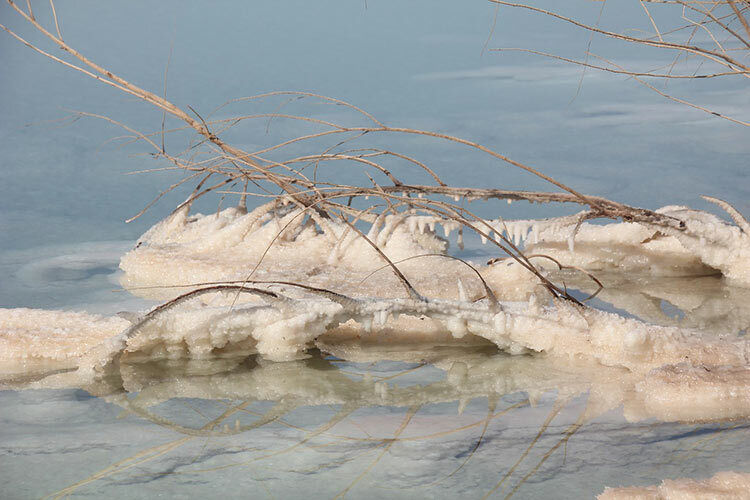 For reference, the salinity level of the normal sea is around 4%, when in the Dead Sea this level rises to 27%! Plus, the Israeli coast of the Dead Sea is the lowest you can get when you stay on land. This crazy natural phenomenon and its effects created a bunch of rumors and myths around the place. Here are a few of those and the truth about this amazing body of water! It depends on what you mean by swim. The Dead Sea is the most buoyant water in the world, and that part is not a myth! If you go in, you’ll float as if you were totally weightless. You can even “sit” on the water! On the other hand, you can’t swim like you do in the pool, because your body can’t get enough traction to move forward in this buoyant water. Anyway, who would want to swim and sweat when you can just float along peacefully for hours on end? Totally true! There’s actual salt crystals underwater, and on the beach as well. This is definitely not cooking salt size, we’re talking about big sharp white crystals here. For this reason, I recommend wearing plastic sandals even in the water so that you don’t cut yourself. The amount of salt in the Dead Sea is not a myth, for sure. If you put your head underwater, it will be like pouring salt on your face: not great for your eyes or your taste buds! Let’s not be superstitious, the Dead Sea in itself has no healing power. But the mineral salt and the unique conditions on the coast (due to the very low land level) combined have been recognized to cure three things so far: rheumatism, eczema and psoriasis! I can get where this one came from, it’s called the Dead Sea after all. On one hand, it’s true that the Dead Sea got its name because the salinity level is so high that no fish or plant can survive in these waters. On the other hand, there’s still some microscopic thingies living there, plus some recently discovered deep underwater freshwater pools where a few fishes and such are developing. And let’s not forget all of the blessed tourists! I know it’s unexpected, because salt is supposed to be bad for your skin and make it dry, but this one is so true! The water and mud of the Dead Sea are the perfect scrub, as the salt here is mineral and full of good things. After a dip in the Dead Sea, put mud all over your body, then wait in the shade for a quarter of an hour before going back to rinse it out. After that amazing natural treatment, the skin feels really smooth and healthy. If you stay there long enough, you can try out one of the many spa treatments of mud massages on the coast! Maybe it’s because it’s called the Dead Sea that everyone pictures a cold and dark place? I don’t know, but that’s a total myth. The Dead Sea is the lowest place on earth (on land, of course), with its coasts divided between Israel, Jordan and Palestine. It is warm. In summer, it rockets over 40°C all the time, and even in winter temperatures on the coast usually stay above the 15°C, so go fetch your bathing suit and sunscreen! It does affect the body, but in the most wonderful way! You know when you go very high up (think trekking the Himalayas) and you feel like you need more oxygen, like you’re heavier and bloated? This is the total opposite. 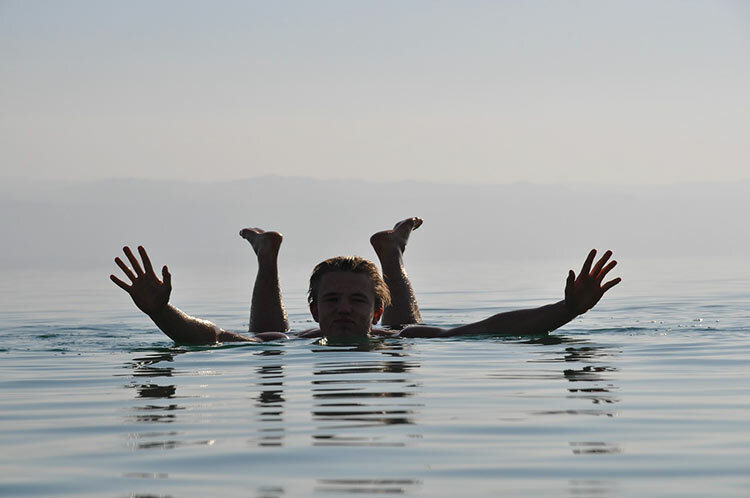 Even when you’re not on the actual waters of the Dead Sea, you keep floating! Your body feels weightless and your mind is sharper because you’re getting so much oxygen. Although you don’t really lose weight (obviously), you might even see that your hands and feet are a bit skinnier. Isn’t that magical? Even without all the myths, the Dead Sea stays a one of a kind experience! Who never dreamed of walking on water? Plus, it’s good for your mind and body. 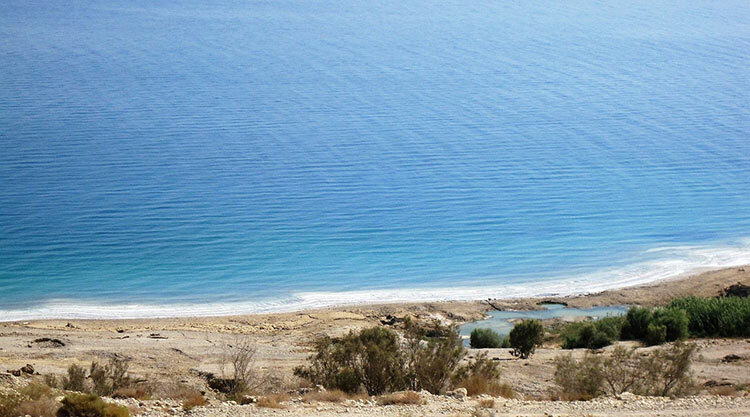 Many tours to Israel are stopping by the Dead Sea, so make sure you hop on one of those!